Our International Corporate Secretarial team have developed this country guide to ensure that directors are kept informed of their responsibilities, powers and liabilities and to offer support to in-house legal teams. 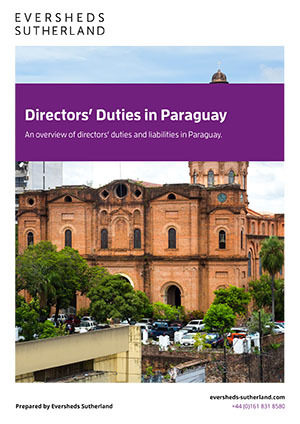 The guide covers the most important responsibilities, powers and liabilities within each jurisdiction and provides practical, succinct and clear guidance for application by directors in their day to day activities without excessive legal jargon. It is recommended that the country guide is reviewed annually to ensure the advice is current and still considered best practice. In addition to producing Directors Duties Handbooks, our team offers an annual compliance service in over 100 jurisdictions, reassuring Directors that the management of local compliance requirements are in safe hands. The team also handles a wide range of corporate secretarial matters, some of which include incorporation, capital contribution, cash repatriation and dissolution. Providing quality, innovation and consistency in legal service delivery around the globe from 66 offices in 32 countries.